Occupational Therapy seeks to assist its patients in performing everyday tasks and social functioning. Interventions are tailored to each individual patient’s needs and seek to set specific goals for them to achieve over time. 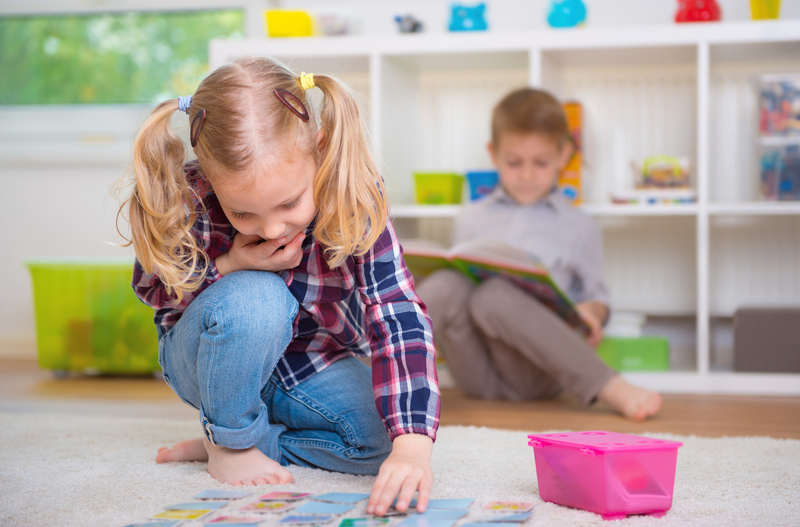 Common services include: developmental milestones, self-regulation, sensory integration, handwriting, upper extremity dysfunctions, and self-care skills. Developmental Milestones: these are goals (milestones) that a patient is expected to meet in a given amount of time. Will typically focus on areas such as Gross Motor Skills, Fine Motor Skills, and Social/Emotional Development. This method helps track a patient’s progress in the areas that are being worked on. Self-Regulation: helping a child understand their emotions and manage their own behavior in ways that are socially acceptable. Sensory Integration: refers to sensory processing. Children who have sensory processing issues experience either too much or too little stimulation via their senses. This leads to problems integrating the information they’re receiving and makes it difficult for them to function, particularly in learning and social environments. Handwriting: children with handwriting difficulties are often referred to an Occupational Therapist. The therapist will assess a child’s level of functioning in the following areas: fine motor skills (pencil grip, shoulder/arm/hand strength, coordination), visual perception (discriminating between symbols, placing letters on the writing line. ), and cognition (memory, language comprehension, general problem solving issues). Orthopedic Issues of the Upper Extremity: involve dysfunctions in the upper body; namely, the shoulder, arm, hand, and fingers. Common issues that can be treated by an Occupational Therapist include (but are not limited to): fractures, amputations, arthritis, dislocations, ligament injuries, and any other issues involving abnormalities in upper-body function. Self-Care Skills: helping a child with everyday tasks that involve the upkeep of their bodies; such as dressing themselves, eating, cleaning their teeth, and the like. Problems with these skills can make it difficult for children to participate socially, leading to bullying and being maligned as “different” or “odd” by their peers.